Today I would take a pre 2nd degree exam of "Technical Writing in English", but I was late for the srart time of the exam due to a fatal accident. Fortunately the examiners allowed me to take the exam together with people who would take the 2nd degree exam later. 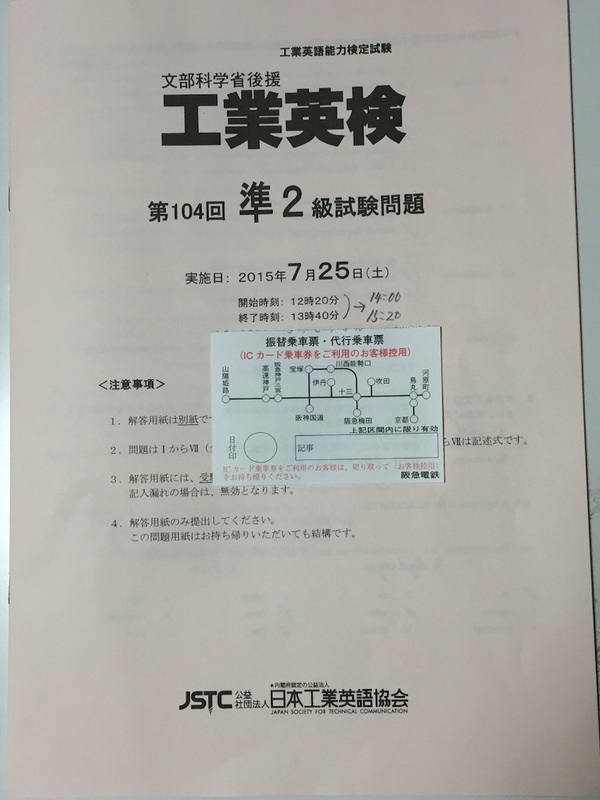 The result I felt after the exam is "fine", so I assume that I have been able to pass the exam. In case I faced to unexpected things, I suddenly could not do anything I usually could do. Even if I run into an impasse, I can find out many ways to solve problems from my calm viewpoint. The bigger the organization, the later the correspondence to change the situation. we therefore wonder we get to know something for the first time when I experienced it. "Experience is the best teacher", I note that there is no vain thing happens to me. I will keep improving power of observation.